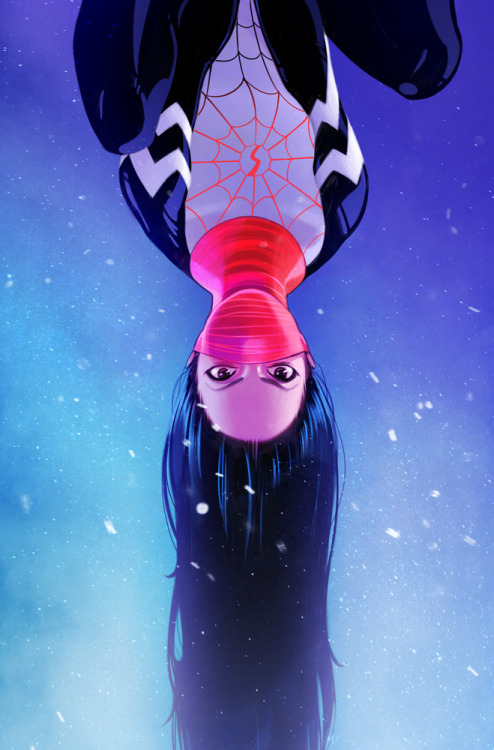 As I was scouring the interwebs for a new series to try, I came across a post about Marvel’s newest addition to the Spiderverse, “Silk”. While Silk was introduced in the first arc of Amazing Spider-Man, I had read that it wasn’t imperative for me read those issues since they would discuss what had happened as they did the series. But the thing that drew me in the most, was this picture by book artist, Stacey Lee. The art in this book is amazing. Lee and Herring do an amazing job with all the panels they do. They are all incredibly beautiful and entrancing. They equalizes the dramatic scenes perfectly with the more humorous scenes, all while including other characters from different series with their own twist. The greatest part about the art is the subtle differences that Lee and Herring input to let the audience know that the panels they were reading had taken place in the past. Herring hazes over the panels from the past adding a perfect amount of desaturation to it so as not to take anything away from the art, but just to differentiate it from the present tense panels. Adding the awesome writing of Robbie Thompson only makes it better. Cindy is written very well and if I ever became a superhero, I feel like I’d be very similar to her. She’s written as if she is your best friend. 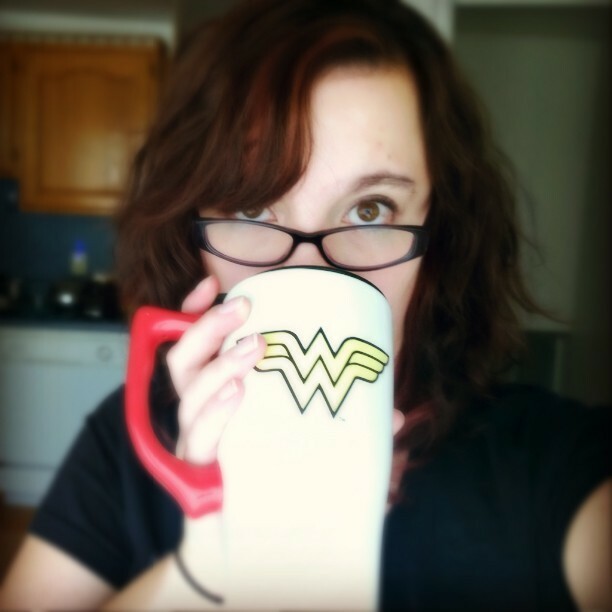 You know the one who makes nerd references and misses her target but still keeps trying. She’s believable as a hero even if she doesn’t quite believe in herself. She’s still finding her feet in the world of superheroes and although she stumbles a bit, she has some pretty great friends to back her up. Ultimately her search for her family is the main plot point in this series thus far. After being locked up in a bunker for 13 years, she’s desperate to find out what happened to her family. And to try and piece it all back together. I think this was a really great pick as my first real foray into comics. It just makes me want to know more about the female superheroes that haven’t made as much of an appearance in the movies as I would like. Shortly after buying Silk, I also purchased the first few issues of Ms. Marvel*, Captain Marvel*, Spider-Gwen* and most recently A-Force*, all of which have been equally amazing. 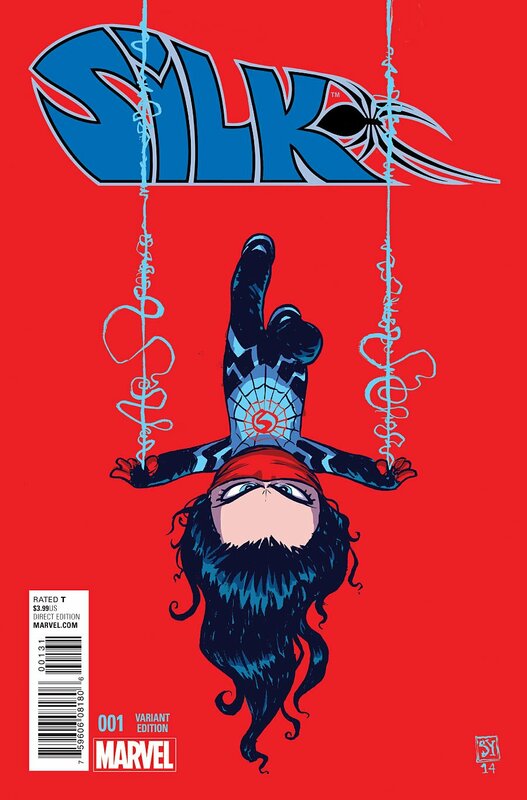 Silk has only released five issues but I look forward to them each month and I’m excited to see where Cindy will go from here. 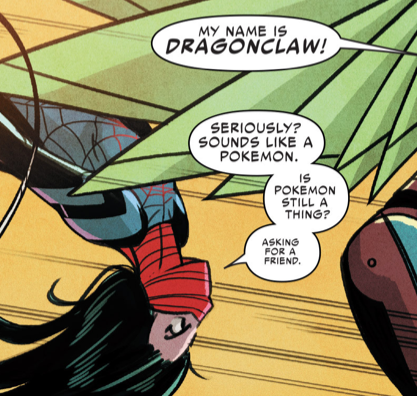 You can find Silk on Amazon*, Midtown Comics, and Marvel.com. What comics have you been reading recently? Got any recommendations for me? I’d love to explore more into comics and am looking for any suggestions.